membran tracks 1-4 (shitkatapult strike 13). (shitkatapults officemanager in heidelberg) has re-discovered the spaces behind the straight bassdrum. 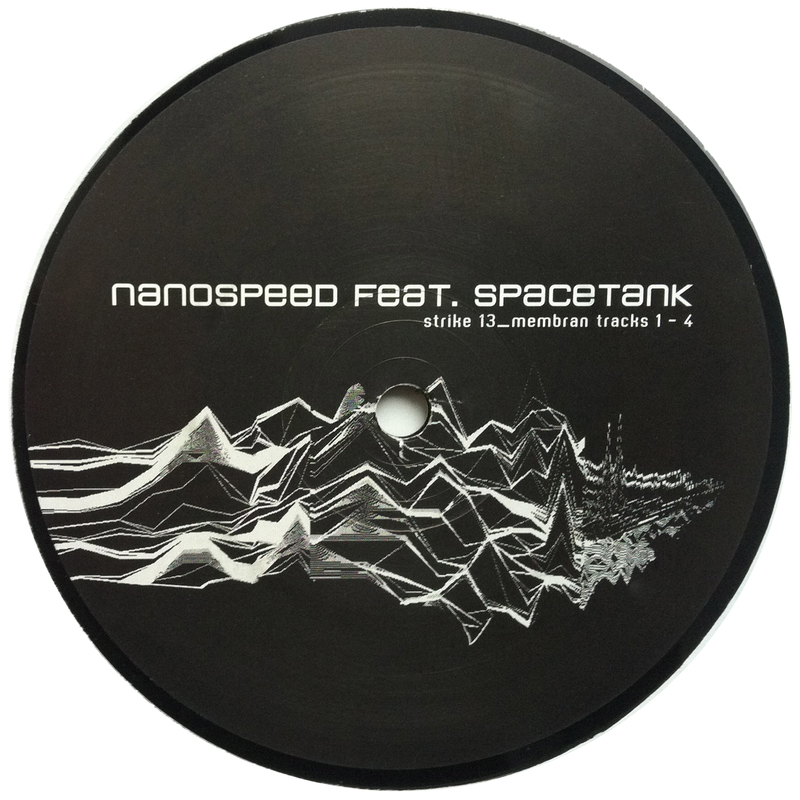 in reanimating his second ego spacetank he combined both projects on this record. the monotony of dub with a digital soundworld. driven by a steady beat crispy and glitchy echoes shake hands with deep reverbs. great track., all of them. whoever made them. this is what it is about: in the last couple of years we have heard a lot in this genre of clicking, minimal sound and dub. probably that much that one could cover the whole world in it and it would it would diminish in the deep echeoesque system of references, overdubbs and a slowly damped mirrors. what is left are the effects as reality so ciculates are effects of effects. this is how this record works – but in such an intensive way that you identify each and every sound and it´s effekt as a surprise. all tracks perfect. sometimes with decent beats, sometimes 4tothefloor in a classical sense since they transform the dancefloor into a pulsating monster of constantly changing the perspectives.